Hello all, allow me introduce myself. My name is Tricia and I am currently a senior in my last semester at Champlain College in Burlington, Vermont. As a marketing major, I couldn’t have chosen a better school than Champlain, and this blog is another untraditional portion to the curriculum. 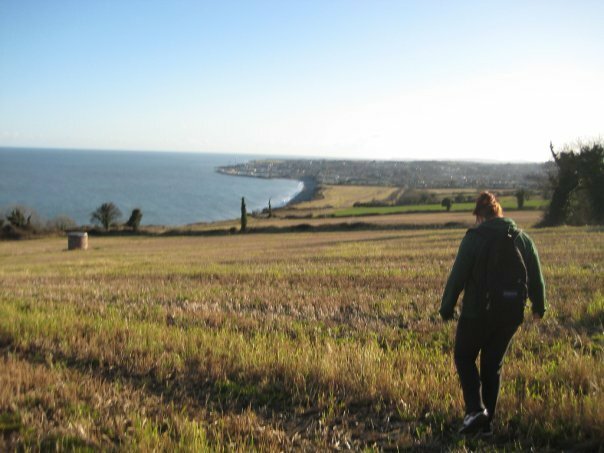 Throughout my four years here, I’ve had access to amazing opportunities, and the most amazing of all was the semester I spent abroad in Dublin, Ireland, in spring 2010. Our school has two international campuses, one in Montréal and one in Dublin, and I was fortunate enough to experience Champlain College in Dublin. It truly was a life changing experience and upon arriving back to the Burlington campus, I was offered a work-study position in the Office of International Education as a Champlain Abroad Student Recruiter. I was essentially asked to help out in the office and getting students psyched about studying abroad. Through this work and experience I have realized that I have a strong passion for studying abroad and wish every college student could have the experience. You can never really know yourself until you experience yourself in another culture. There honestly is nothing like being completely out of your element, in a different country, living abroad. This blog is going to feature my thoughts, opinions, and passion for studying abroad and international education.